Ideal for total novices and chefs alike, this Salter Utensil Set is incredibly practical and will aid with many culinary tasks. 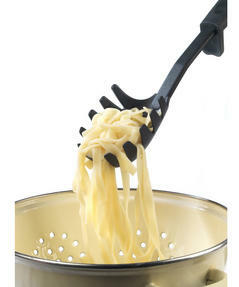 Ergonomic in design, the set includes a turner, slotted spoon, ladle, spaghetti server and skimmer. 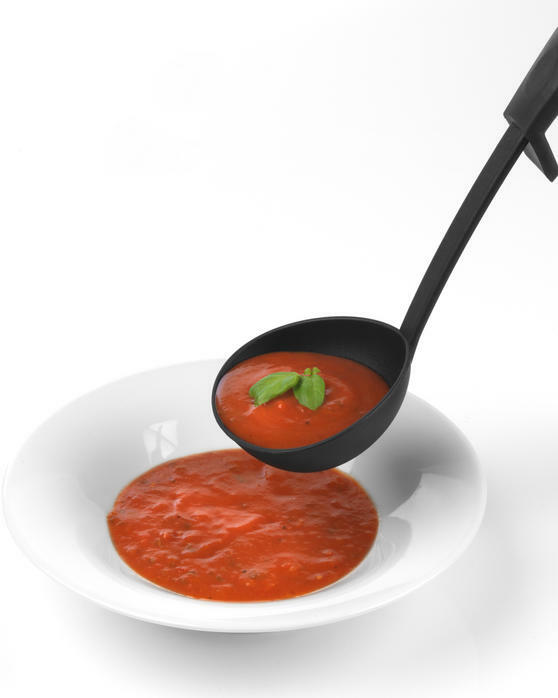 Crafted from durable material, each utensil also has a hygienic built in tool rest, keeping them raised off worktops during use. 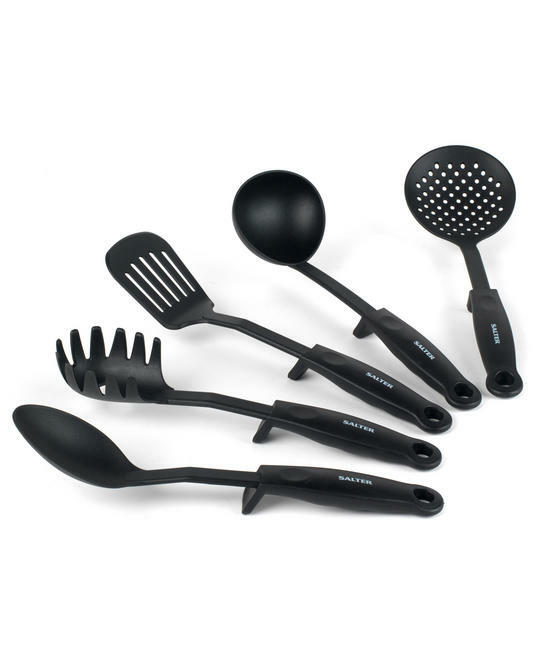 Easy to clean and developed to withstand the demands of everyday cooking, this utensil set will compliment any kitchen tool collection. 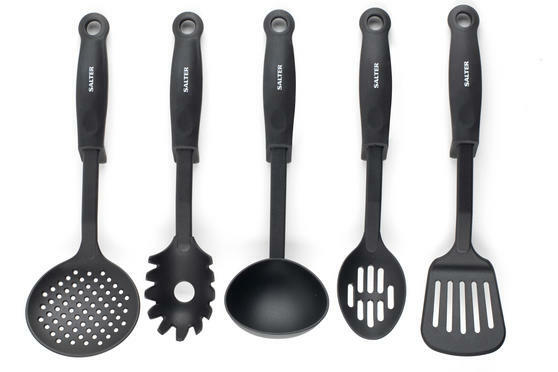 Complete with kitchen essentials, Salter this Salter Utensil Set is incredibly practical and is sure to help with a variety of culinary tasks. 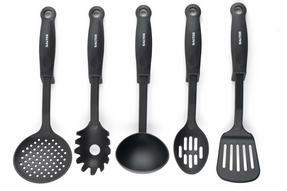 The set includes a turner, Salter a slotted spoon, Salter a ladle, Salter a spaghetti server and a skimmer, Salter all with built in tool rests on the handle. Durable and ergonomic, Salter these tools have been crafted from quality materials to withstand the various demands of everyday cooking. 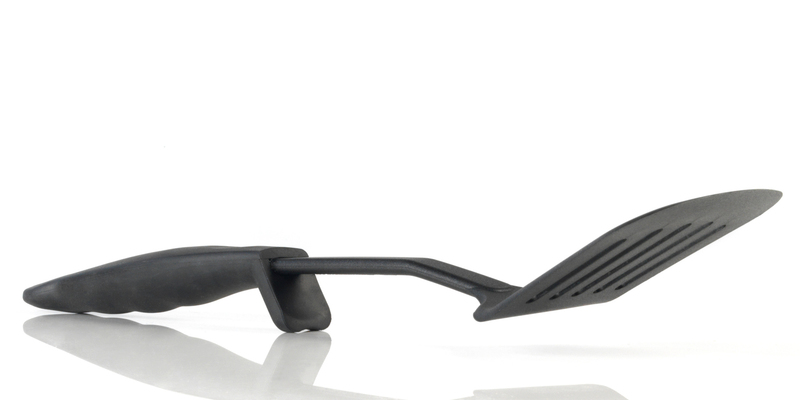 With tool rests built into the utensils to raise them away from kitchen worktops, Salter this Salter set is both professional and hygienic. 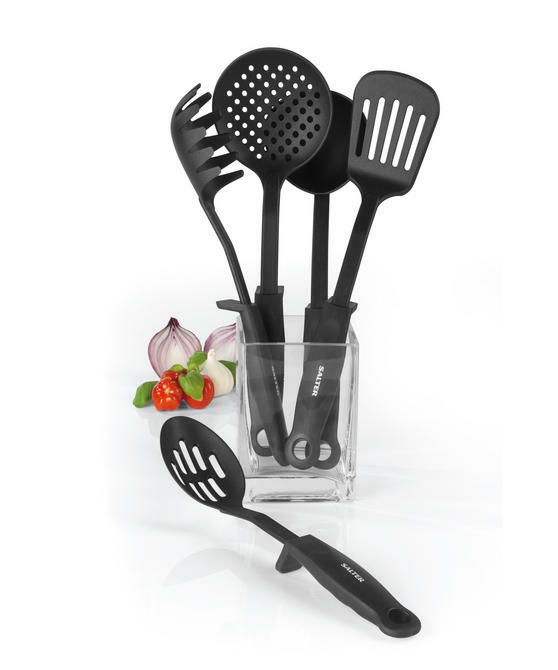 Easy to clean, Salter this utensil set will compliment any kitchen tool collection and is sure to fit in with a range of kitchen schemes.